The Indus civilization (also known as the Harappan Civilization, the Indus-Sarasvati or Hakra Civilization and sometimes the Indus Valley Civilization) is one of the oldest societies we know of, including over 2600 known archaeological sites located along the Indus and Sarasvati rivers in Pakistan and India, an area of some 1.6 million square kilometers. 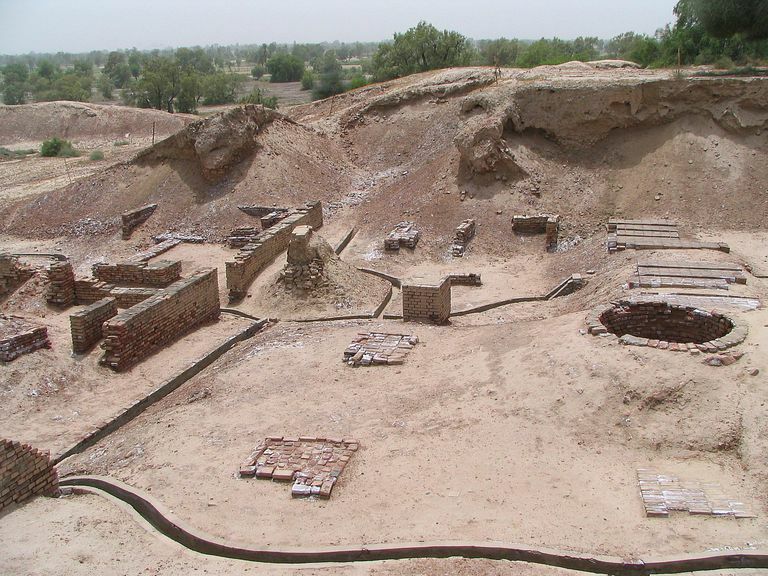 The largest known Harappan site is Ganweriwala, located on the bank of the Sarasvati river. Important sites are listed after each phase. The earliest settlements of the Harappans were in Baluchistan, Pakistan, beginning about 3500 BC. These sites are an independent outgrowth of Chalcolithic cultures in place in south Asia between 3800-3500 BC. Early Harappan sites built mud brick houses, and carried on long-distance trade. The Mature Harappan sites are located along the Indus and Sarasvati rivers and their tributaries. They lived in planned communities of houses built of mud brick, burnt brick, and chiseled stone. Citadels were built at sites such as Harappa, Mohenjo-Daro, Dholavira and Ropar, with carved stone gateways and fortification walls. Around the citadels were an extensive range of water reservoirs. Trade with Mesopotamia, Egypt and the Persian gulf is in evidence between 2700-1900 BC. Mature Harappan society had three classes, including a religious elite, a trading class class and the poor workers. Art of the Harappan includes bronze figures of men, women, animals, birds and toys cast with the lost was method. Terracotta figurines are rarer, but are known from some sites, as is shell, bone, semiprecious and clay jewelry. Seals carved from steatite squares contain the earliest forms of writing. Almost 6000 inscriptions have been found to date, although they have yet to be deciphered. 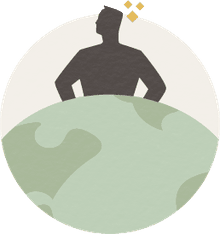 Scholars are divided about whether the language is likely a form of Proto-Dravidian, Proto-Brahmi or Sanskrit. Early burials were primarily extended with grave goods; later burials were varied. The earliest pottery made in the Harappan region was built beginning about 6000 BC, and included storage jars, perforated cylindrical towers and footed dishes. The copper/bronze industry flourished at sites such as Harappa and Lothal, and copper casting and hammering were used. Shell and bead making industry was very important, particularly at sites such as Chanhu-daro where mass production of beads and seals is in evidence. The Harappan people grew wheat, barley, rice, ragi, jowar, and cotton, and raised cattle, buffalo, sheep, goats and chickens. Camels, elephants, horses, and asses were used as transport. The Harappan civilization ended between about 2000 and 1900 BC, resulting from a combination of environmental factors such as flooding and climatic changes, tectonic activity, and the decline of trade with western societies. Archaeologists associated with the Indus Valley Civilizations include R.D. Banerji, John Marshall, N. Dikshit, Daya Ram Sahni, Madho Sarup Vats, Mortimer Wheeler. More recent work has been conducted by B.B. Lal, S.R. Rao, M.K. Dhavalikar, G.L. Possehl, J. F. Jarrige, Jonathon Mark Kenoyer, and Deo Prakash Sharma, among many others at the National Museum in New Delhi. Ganweriwala, Rakhigarhi, Dhalewan, Mohenjo-Daro, Dholavira, Harappa, Nausharo, Kot Diji, and Mehrgarh, Padri. An excellent source for detailed information of the Indus civilization and with lots of photographs is Harappa.com. For information on the Indus Script and Sanskrit, see Ancient Writing of India and Asia. Archaeological sites (both on About.com and elsewhere are compiled in Archaeological Sites of the Indus Civilization. A brief Bibliography of the Indus Civilization has also been compiled.